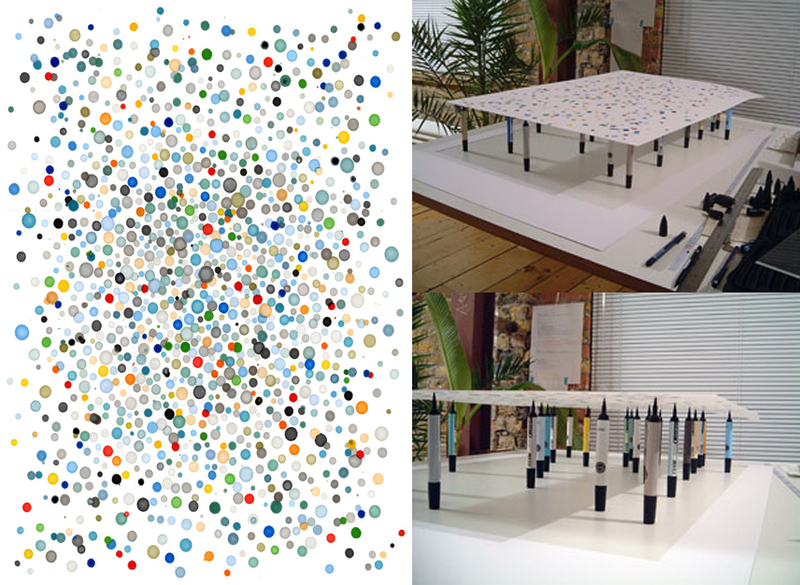 Felt-Tip Print made by repeatedly balancing a single A1 sheet of paper on the nibs of a set of Pantone pens. Necklasp is made up of the functional elements of a necklace normally concealed at the back of the wearer’s neck. 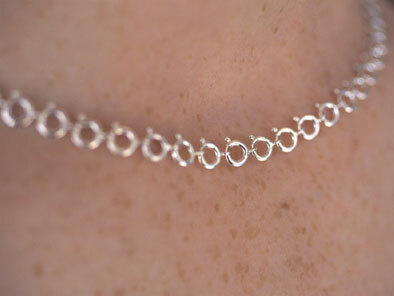 Neckclasp can be fastened / unfastened at any point along its length. By Daniel Eatock.